In 2017, traditionalists were quick to criticize the modern PUV saying that there’s a need to preserve the old, iconic look of the Jeepney. Yet, what these traditionalists don’t realize is that this iconic look is the result of evolution. The jeepney started as repurposed American military jeeps. Their bodies were lengthened and side-facing rear bench seats installed. However, contrary to popular belief, there’s no standard form for the jeepney. 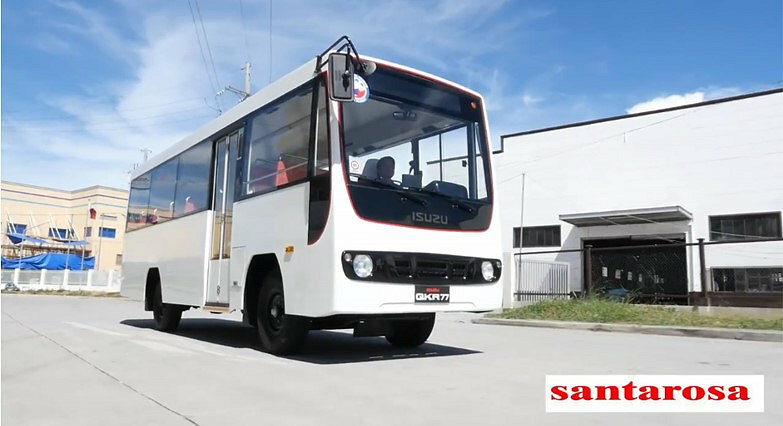 For example, in Luzon, most are based on available surplus Japanese engines and platforms while some have used second-hand light trucks as the basis such as in Iloilo or AUV as in Bacolod. Therefore, to say that the Luzon design jeepney represents the Philippines would be disregarding what the current jeepneys really are outside of the country’s biggest island group. The Jeepney may indeed be a national icon, but no one region can lay claim to its design. 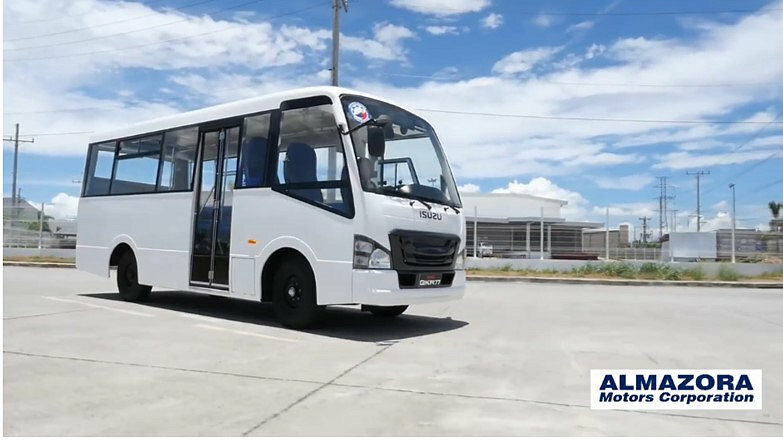 On the other hand, the Modern PUV or Public Utility Vehicle adheres to standards—both product- and environmental-related set by the Bureau of Philippine Standards. They were put in place for better safety, comfort, passenger convenience, along with more revenue and less operating cost for the drivers and operators. At the forefront of this revolution is Isuzu Philippines Corporation. 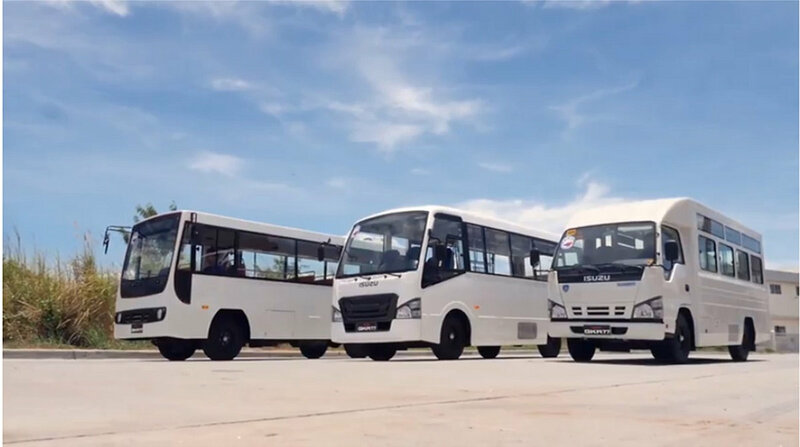 IPC has been one of the most supportive of the government’s program to modernize 200,000 PUVs in the next three years. 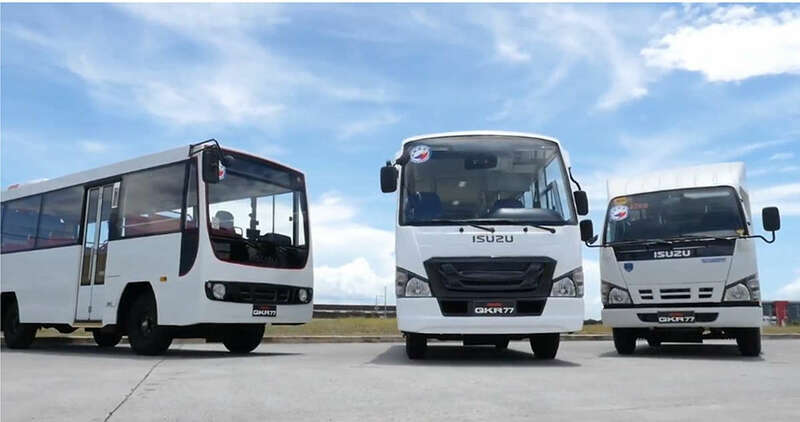 Isuzu’s modern PUV is a product of the globally renowned truck maker’s extensive experience with, and knowledge of, the Philippine commercial vehicle market and road and driving conditions. The Isuzu modern PUV features side doors instead of the single rear door, no hood, and a higher ceiling height that allows for standing passengers. The side entrance/exit (instead of the rear) is a safety measure which enables the driver to clearly see the passenger embarking and disembarking. At the same time, the passengers can safely wait at the sidewalk to enter the PUV, rather than going to the road as with the previous design. It even has emergency exits and a provision for Persons with Disabilities (PWD) in some configurations. The automated fare collection system brings cashless transactions to PUVs, adding to the passengers’ convenience. It also keeps the driver focused on driving, rather than being distracted by fare collection. It also promotes a more organized system of fare collection which should benefit operators. Under the passenger-friendly body, the Isuzu modern PUV uses the Isuzu QKR77 platform. 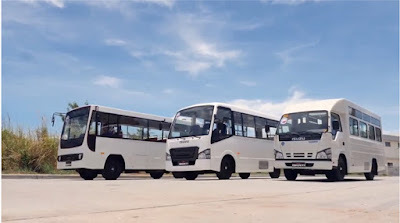 Conforming to Class 2 and 3 PUV standards, these are assembled in the Philippines and is equipped with a Euro IV-compliant 4JH1-TC diesel engine that delivers excellent fuel economy. Aside from delivering an excellent product, Isuzu also offers the unmatched Isuzu Advantage. This includes the nationwide availability of spare parts, world-class support from expert technicians at any of Isuzu’s 42 authorized dealers nationwide, and training for drivers and mechanics. The Isuzu PUV brings more than 20 years of product and market expertise. 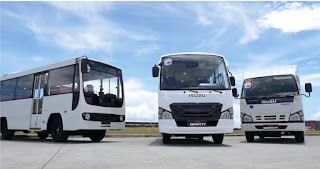 Already known for their durable and reliable commercial vehicle line-up, Isuzu remains unrivaled in providing passenger comfort, safety, security, and convenience as well as reliable and dependable service anywhere in the country. Indeed, the Isuzu PUV is the transport solution for the Filipino, by Filipinos.